Folkman, active in Kulanu election headquarters, was run over at party headquarters in Tel Aviv. MDA team at scene determined death. Naomi Folkman, the mother of MK Roi Folkman of the Kulanu party, was run over by a cement mixer on Nahalat Yitzhak Street and Yigal Allon Street in Tel Aviv. Folkman, active in our election headquarters, was run over outside party headquarters. The MDA team that arrived at the scene was forced to determine her death. "The Kulanu party declares with great sorrow the death of Tel Aviv resident Naomi (Leib) Follkman, 78, mother of MK Roi Folkman. Naomi was killed when she was hit by a vehicle upon leaving party headquarters in Tel Aviv. "Members of Kulanu express their deepest and heartfelt condolences to Roi, her only son, and his entire family. Details of the date of the funeral and location of the shiva will be published later." MDA medics, Issachar Weiss and Nati Yamin, who arrived at the scene on MDA motorcycles said: "On the road at the corner we found a 78-year-old woman unconscious laying at the wheels of a truck, with very severe systemic damage. "We carried out preliminary medical tests but she was without pulse or breathing, and by the authority of a doctor who arrived, her death was determined," they added. MK Folkman said of his mother Naomi: "Mom gave me the privilege of knowing the Land of Israel as a child because of her work. She was a wonderful grandmother to my three children, and a model mother. I was not an easy child and she invested everything she could so that I would be the person I am today, and for that I owe her forever. My mother called me at 4:14, just before she left the party headquarters, and I told her not to wait for me because I was arriving late for a meeting I had - it pains me that I was unable to say goodbye to my mother one last time." Prime Minister Binyamin Netanyahu said, "On my behalf of me and my wife, we send heartfelt condolences to MK Roi Folkman and his family over the tragic death of his late mother Naomi. Along with many others we wish to strengthen them at this difficult time." Minister Naftali Bennett said, "I send condolences to my friend, MK Roi Folkman, on this difficult evening. The heart is torn and there are no words that can comfort. The Knesset and the whole of Israel are hurting your pain, the pain of the entire family, and are sending a warm hug." 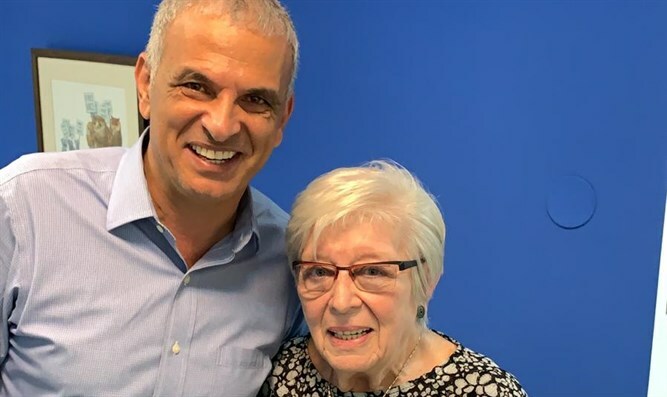 MK Yair Lapid said, "On behalf of the entire Yesh Atid party, I wish to convey condolences to MK Roi Folkman on the death of his mother. There are no words that can console. We are hurting with you, hugging and strengthening."